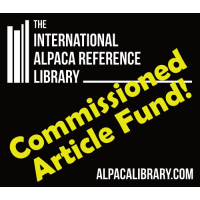 Your US$50 gets you a nice big colourful and content-rich spot in several places within the Library. Your ad can be text only, image only, or text and image - your choice, and a link to your website is included, of course! 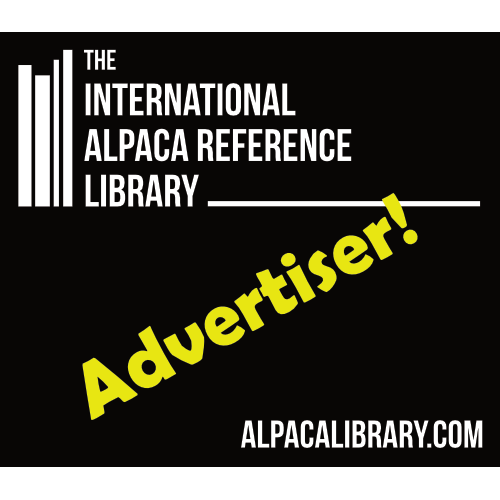 only one advertisement will appear on a page at any one time. When a visitor visits a new page, another ad will be randomly selected and assigned to that page. Depending on the number of advertisers, this may well be you again! 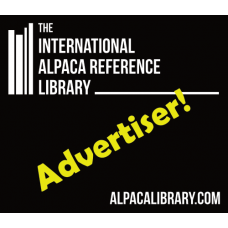 By default your ad will be set to appear on any "New to Alpacas?" 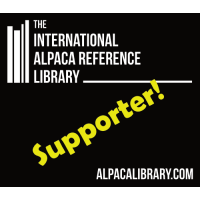 or Alpaca Library Catalogue article page within the Library, but you're welcome to nominate a specific category or categories that suits your target market best (eg Training, Fiber Processing, Fleece Products, ...). And to increase value to you, we will include your ad in our dedicated "Please Support Our Advertisers" section. If your category doesn't exist, we'll create it for you! Ads on this page will also display randomly, ensuring everyone a chance at the top spot! Please note that ads will run for one year unless renewed.